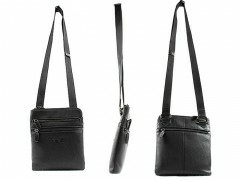 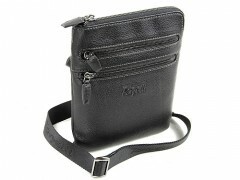 Italian Shoulder Bag 3011 BLACK MAX Tonelli Uomo genuine leather in black. 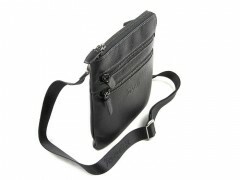 Main compartment is designed with a zipper and has several multifunctional pockets. 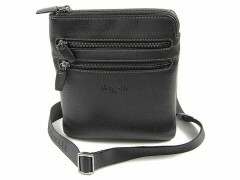 Outside the front, two pockets with zipper and a zippered pocket on the back side. 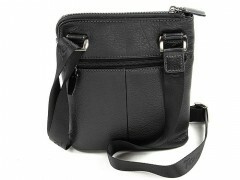 Adjustable shoulder strap for comfortable carrying the bag over his shoulder.